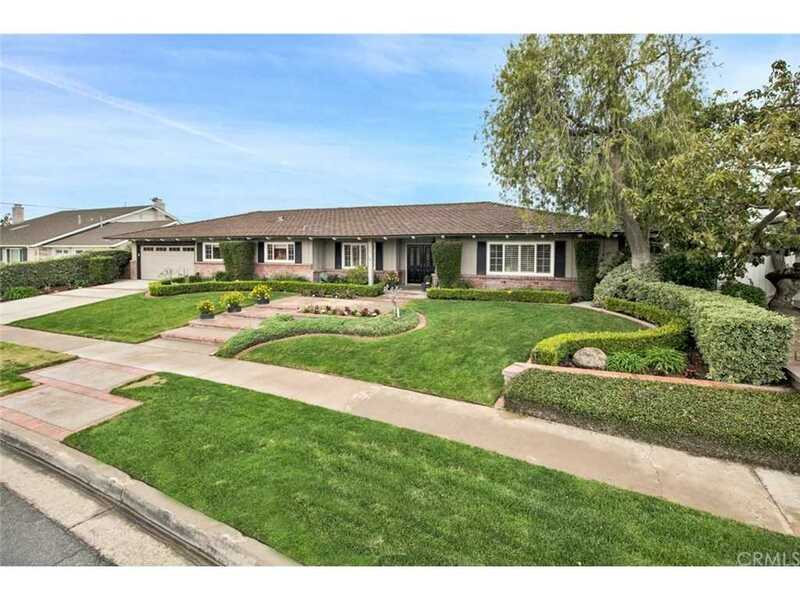 Situated on a Quiet Interior Lot, 13621 Yellowstone Drive is a Single Level Dream Home in the Heart of North Tustin. This Beautiful Home Features Four Bedrooms, Office, and Three Bathrooms. The Living Room, Family Room, Dining Room, and Kitchen All Enjoy An Abundance of Natural Light. The Living Room Boasts Beautiful Built-In Book Shelves, Fireplace, and Plantation Shutters. The Dining Room is Equipped With Built-In Cabinetry, Plantation Shutters, and Sits Adjacent to the Kitchen. The Kitchen Enjoys Ample Counter and Cabinet Space, Breakfast Bar With Seating, and Wet Bar. The Family Room is Perfect for Entertaining and Features a Cozy Fireplace, Wood-Beamed Ceiling, and Enjoys Access to The Backyard Through the French Doors. The Formal Office Boasts a Built-In Desk, Book Shelves, and Cabinetry. The Spacious Master Bedroom Enjoys Backyard Access, Two Closets, and Built-In Cabinets. The Remodeled Master Bathroom Features Dual Vanities, Makeup Vanity, and Walk-In Shower. The Private Backyard Has Lush Green Grass, Enclosed Covered Patio, BBQ, Fruit Trees, RV/Boat Access, and Multiple Seating Areas. Indoor Laundry Room With Built-In Cabinets and Sink. Two Car Garage with Direct Access. Award Winning Tustin Unified Schools. 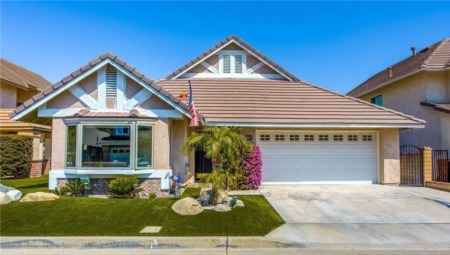 Short Drive To Old Town Tustin, 5/55/22 Freeways, and Multiple Restaurants. No HOA and No Mello-Roos. Do Not Miss Out on a Chance To Own 13621 Yellowstone Drive! SchoolsClick map icons below to view information for schools near 13621 Yellowstone Drive North Tustin, CA 92705.